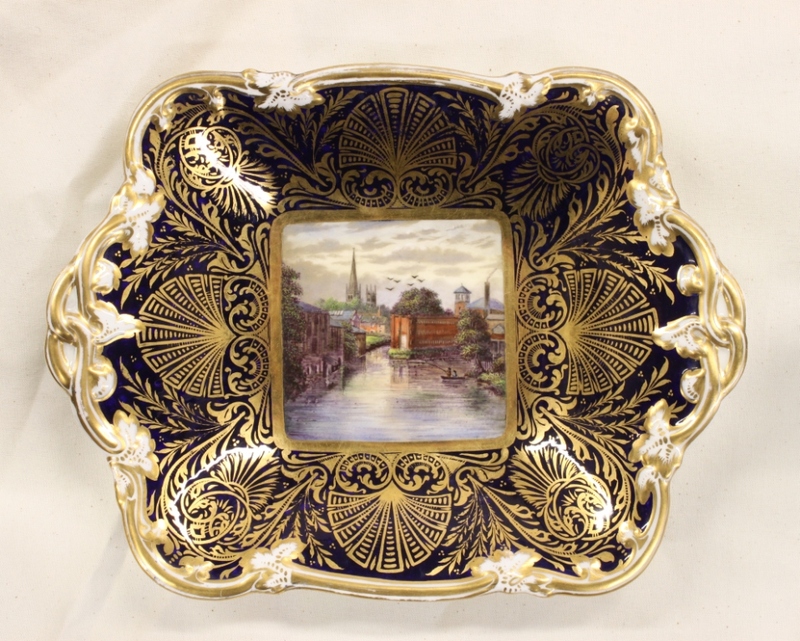 Derby Museum and Art Gallery have purchased two 19th century Derby porcelain plates showing the Silk Mill painted by H.S Hancock. The Silk Mill stands on the site of the world’s first factory and is the Southern gateway to the Derwent Valley Mills World Heritage Site. It was built on an island on the river Derwent around 1715 and housed machinery used to manufacture silk thread. Its size, output and number of workers was unprecedented and wasn’t surpassed until Arkwright built his water powered cotton mills at Cromford. Stephanie Hitchcock from Belper North Mill has researched the Lombe brothers and you can find more information on the WHS website. 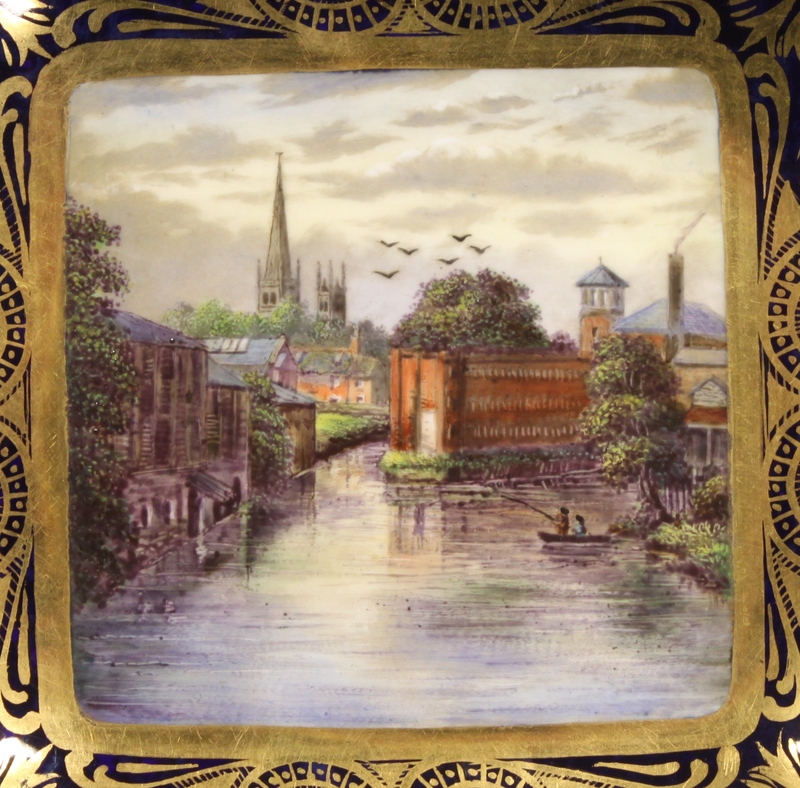 A 19th Century Derby blue ground and gilt plate with panel depicting The Silk Mill by H.S Hancock. The scene also shows the St Alkmunds Church (left) and St Mary’s Church (right). In the foreground there are two fishermen in a boat. 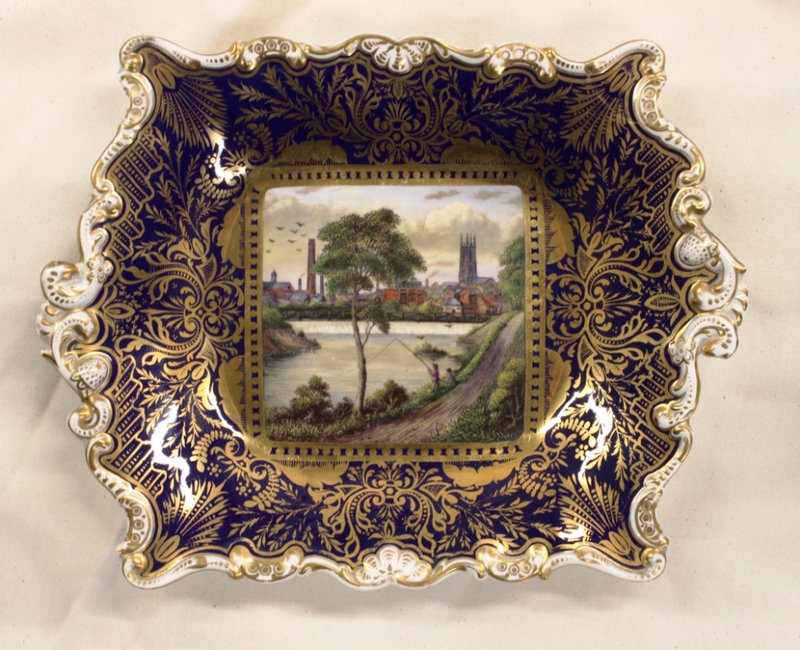 A 19th Century Derby blue ground and gilt plate with panel depicting Derby from the Meadows by H.S Hancock. The scene also shows the Cathedral of All Saints, Long Bridge and the Shot Tower. 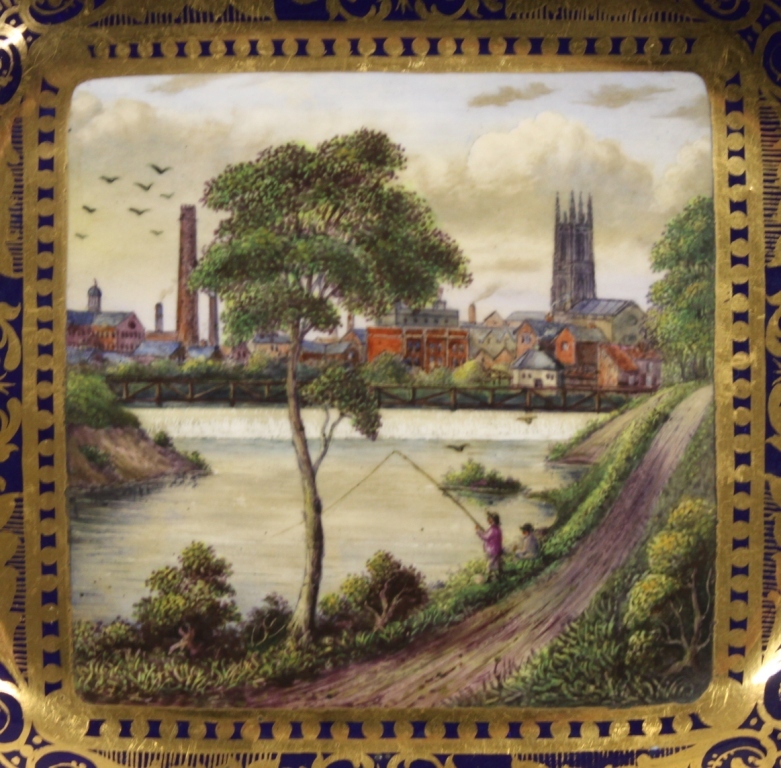 These two plates compliment a H.S Hancock painting that the Museum already has entitled ‘Silk Mills, from Exeter Bridge, 1896’.